Nimbus Web Inc | How do I send email to Nimbus Note? 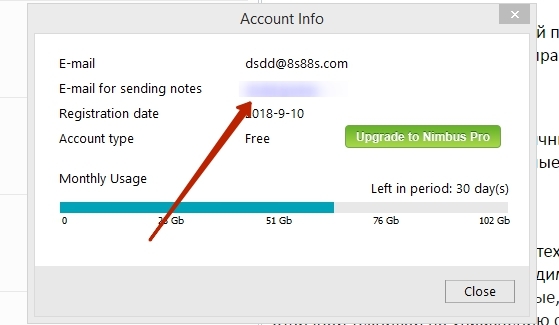 Where do I find the e-mail to send notes to Nimbus Note? You can find the e-mail in Account Information. How can I send a note with email to a special folder or tags? You can specify a folder and tags for the note. You will need to use special symbols - @ for folder (e.g. @My Notes) and # for tags (e.g. #news). So, if you want to create a note with the name How to find my phone? 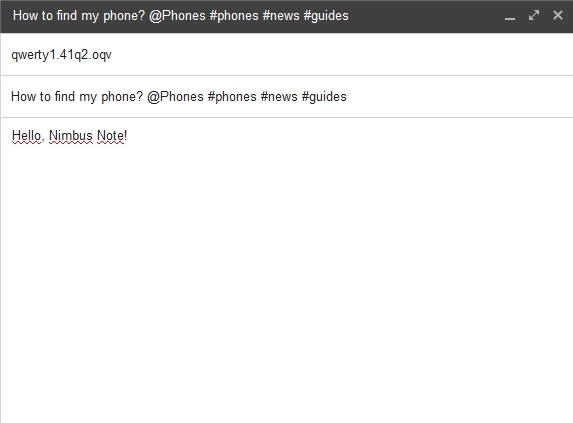 in a folder you’d like to name Phones with tags such as 'phone', 'news', 'guides', the Subject field of the letter should look like this: How to find my phone? @Phones #phones #news #guides We also recommend adding your Nimbus Note e-mail to the contact list of your favorite e-mail client right away to make sure you do not have to try to remember it every time.